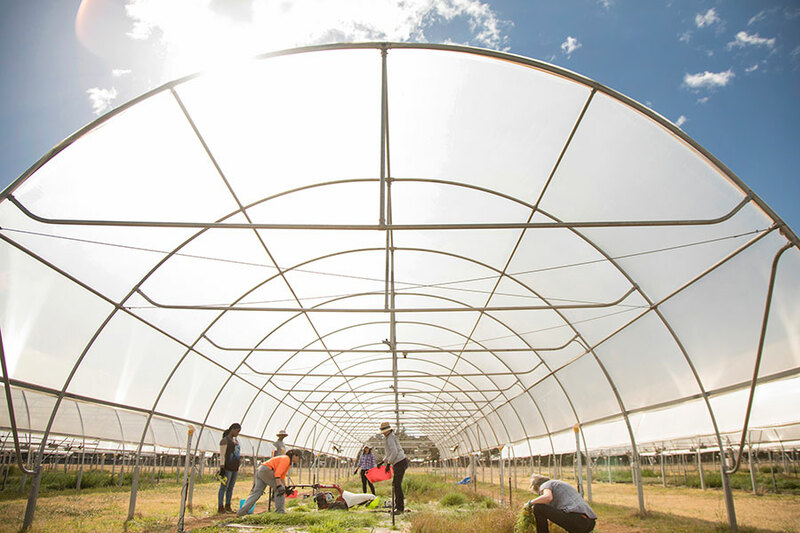 Setup: Six polytunnels, divided into 16 plots for a total of 96 experimental planting areas. In a new project funded by Meat and Livestock Australia's MLA Donor Company, Western Sydney University is investing in the construction of new pasture research infrastructure to gain insights into the outcomes and performance of grass and legume pasture systems as Australia's climate becomes warmer, with more variable rainfall and operating environments become less certain. Construction of the new infrastructure commenced in November 2016 with the installation of new electrical lines, and commencement of the new rainfall exclusion shelters, root-separation barriers and site layout. 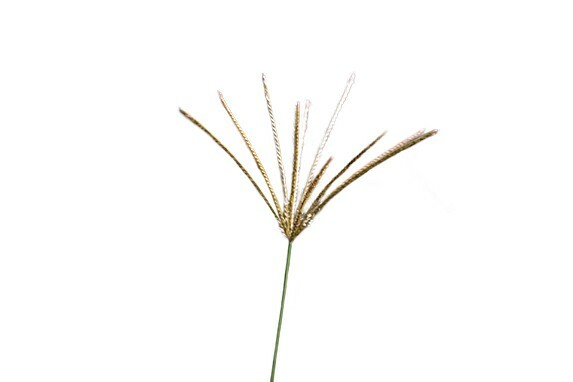 Grasses and legumes are the primary foodstock for the meat and dairy industries, with an estimated value of more than $16.5 billion in cattle, sheep, wool, dairy and meat production (Australian Bureau of Statistics). The sustainable management of grazing systems depends on the availability of high-quality forage, year-round. The net effect of these predictions is that our perception of 'extreme' production conditions in 2016 is likely to be considered 'normal' by 2050 or earlier. 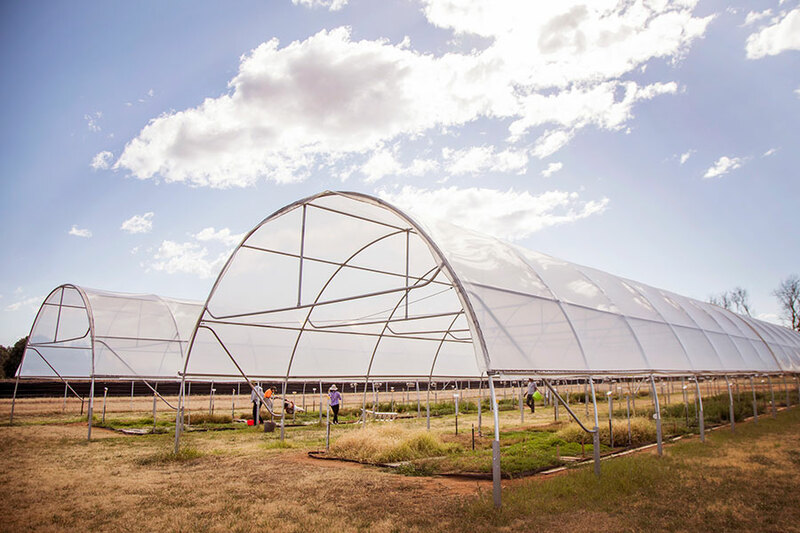 The new PACE facility and research program will enable us to 'stress-test' different combinations of plant species, including, combinations of C3 and C4 grasses, and legumes by exposing them to increased or reduced rainfall, increased temperatures, drought or periodic flooding, or any number of other scenarios. The plantings will also investigate the important roles of soil microbes in pasture ecosystems. Our ongoing research from across the Institute on soil biology, insect-plant interactions and climate impacts on plants and animals supports this new research direction, offering the grazing and dairy industries new ways to proactively manage the impacts of climate change and extreme events on the feedbase that underpins their success. Professor Sally Power and her team at PACE were profiled in Western Sydney University's second edition of the Future Makers research magazine. 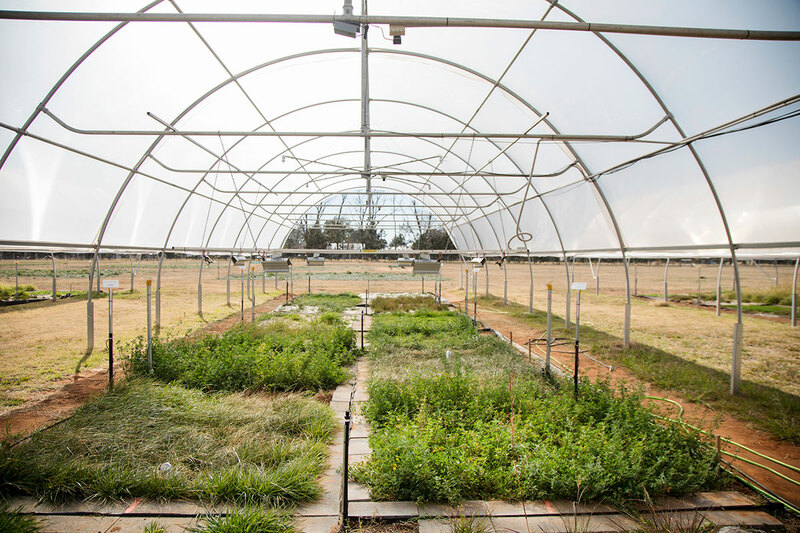 "The project is multi-faceted,” says Power, “We are interested in how well pasture species perform when exposed to warmer, drier conditions, and understanding what biological characteristics influence species’ climate sensitivity. We are also interested in how the seasonal timing of growth and plant nutritional quality are affected by more extreme climates. ", explains Sally. 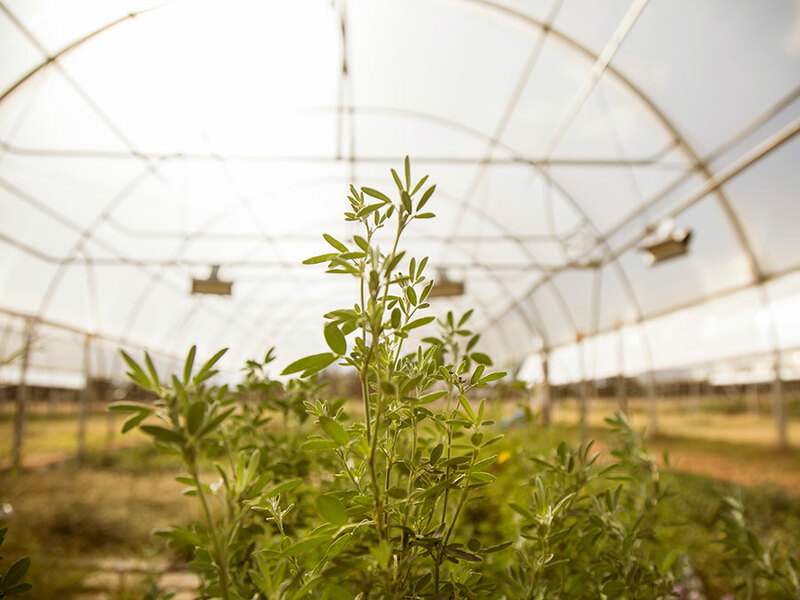 The polytunnels prevent natural rainfall from reaching the experimental plots so that we can apply rainfall according to exact scenarios. The experimental plots include Biserrula, lucerne, rye grass, Phalaris and a mix of other grasslands and grazing species. Biomass harvesting enables us to connect the water treatments with eventual yields so that we can estimate performance under future climates. The PACE facility and research program is funded by Meat and Livestock Australia and Dairy Australia with co-investment from Western Sydney University.